The teenager was aiming to become just the eighth wildcard in the Open Era to reach the Australian Open fourth round in the men's singles. 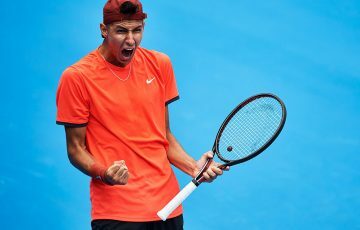 Alexei Popyrin has already proven he has a promising future ahead, with the local wildcard pushing Lucas Pouille in an absorbing contest before the 28th seed triumphed 7-6(3) 6-3 6-7(10) 4-6 6-3 on Saturday night. 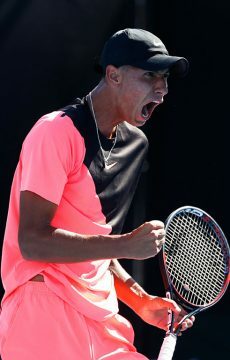 Popyrin, 19, featuring in a Grand Slam third round for the very first time, had already ousted Mischa Zverev in straight sets and world No.8 Dominic Thiem at Melbourne Park. 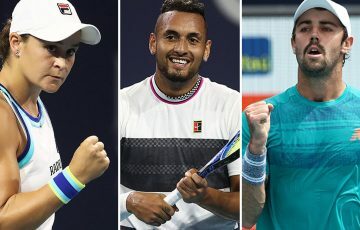 However Pouille, now coached by Australian Open 2006 champion Amelie Mauresmo, managed to prevent the Aussie youngster from clinching a classic comeback to earn a fourth round encounter with 11th seed Borna Coric. “Of course I’m disappointed. 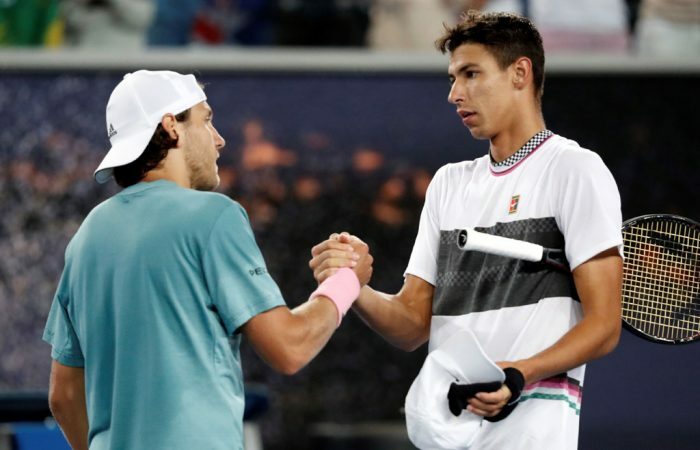 I didn’t win the match,” Popyrin said. This get from Popyrin is just insane! 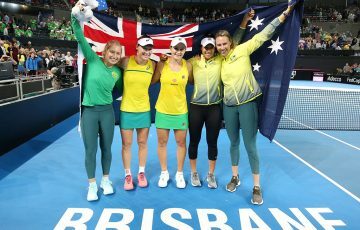 “It felt like a Davis Cup match, I’ve ever played Australia and now I know how it feels,” admitted the relieved Frenchman, paying tribute to his gallant opponent. “I’m just very happy, he’s a great player with a bright future, so it’s great to get through. It was a confident start from the duo and Popyrin carved out the first real chance. 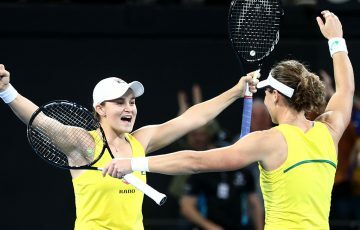 A brace of canny forays to the net enabled the 19-year-old Aussie to bring up break point at 3-2, but Pouille held firm. Popyrin was impressing as a front runner and managed to contain the former top 10 player until the tiebreak, where Pouille demonstrated his all-court prowess to steal the set lead. The teenager’s impressive net play kept Pouille at bay, before a bullet backhand pass collected a break opportunity for Popyrin at 2-2. The world 28th seed escaped and then seized the initiative by surging 4-2 in front courtesy of some crushing shots. 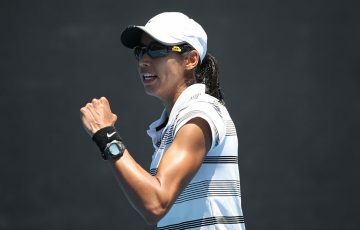 Popyrin was defying his lower ranking of world No.149 to stay in contention and with just over two hours of play was rewarded with a tiebreak to attempt to prolong the contest. The world No.31 raced 4-0 ahead, until Popyrin burst into life to really illustrate his burgeoning potential. The Aussie prodigy fought back, saved match point, but relinquished four set points. At 10-10, Popyrin sprinted to reach a drop shot and watched a Pouille lob loop long, moments before catapulting a backhand down to the line to spark MCA into jubilant celebrations. The momentum stayed with the home favourite into the fourth set, with Popyrin punishing a tame volley by cracking a forehand passing shot to score an immediate break. He then held thanks to a spectacular overhead smash from the beyond the baseline to surge 2-0 ahead. The comeback quest looked to be over when Pouille drew back level for 3-3, but once again the world No.149 had the answers and grasped a break and the opportunity to serve out the set, with the clock ticking over midnight at Melbourne Park. 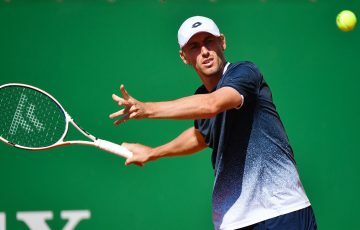 Pouille admitted that he thought of a 2015 first-round defeat by compatriot Gael Monfils on MCA when he allowed a two sets lead to dissolve that day. However, it was the 28th seed’s moment for redemption; he capitalised on two overcooked Popyrin forehands to open up a decisive 3-2 break lead. The Aussie battled valiantly yet Pouille squeezed through a final nervy service game to finally prevail into the last 16. Despite the loss, Popyrin is projected to rise to a career-high ranking of No.123 after his week at the Australian Open. “I didn’t surprise myself (with how I handled the occasion),” he said.